I’ve found a new favorite song. I need to share it with you because I think it might possibly be your new favorite song waiting to happen. (Projecting? Maybe…) You won’t find this new release on YouTube, except for some covers. I won’t post the links to those. 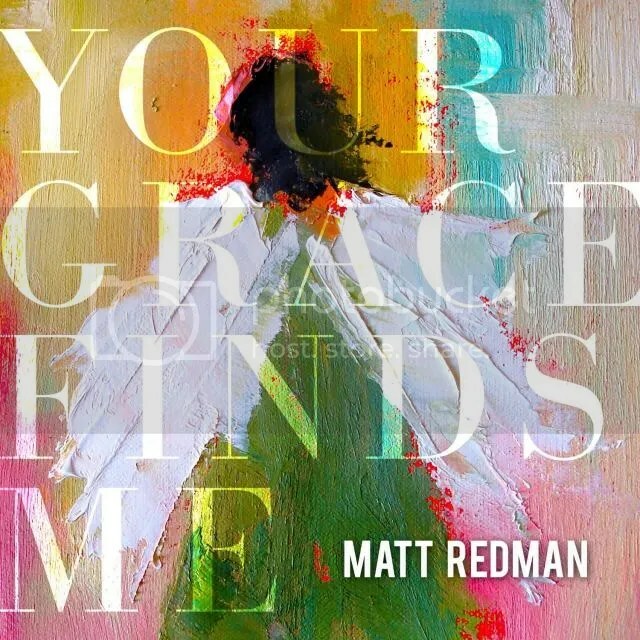 Take time to find Matt Redman’s performance of Your Grace Finds Me. A sure-fire way for a song to grab my attention is to use imagery and deep, penetrating truth in the lyrics. Sure, the musicality plays in big, but great music lacking meaningful depth in the words is a pool too shallow to dive in (for me). Dear Abba, grant me the gift of eyes to see your grace. This is a gray day with no glorious, colorful rising or setting of the sun in my place in the world. The news isn’t reporting the way I’d want to hear it. People are hurting today within 50 feet of me, in 50 states, in 196 countries. God, let me recognize grace and praise you for it. Where have you seen grace today? Wouldn’t it be sweet to create a list below of the ways we’ve seen grace, cherish the moments, and celebrate together? Somehow, I find it sweeter to know the list would be infinite (if we could see that much detail). Photo Credit: The album cover pictured on this post is not my own creation. All rights and props go to the artist/creator/copyrights holder.